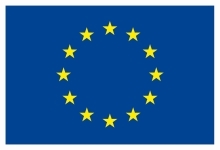 The EU H2020 EURECA project consortium organizes a workshop on Wednesday 11th of May in Dublin at the Chartered Accountants House (http://eureca-project.eu/workshop/the-4th-eureca-workshop). The cHiPSet members are very welcome to join the meeting. The EURECA event brings together the CIO, Irish Government; CTO, Local Government Management Agency; and a number of international experts to discuss ICT sustainability and Cloud consolidation in the Irish public sector. Attendees are largely c-level executives / ICT managers from the Irish public sector and representatives of the Cloud and Data Centre industry. Additionally, there will be an EU commission speaker who will present the current relevant funding opportunities under the H2020 Framework programme. The event programme can be found in the attached brochure and at the event link above. To register, please follow this link (http://eureca-project.eu/workshop/registration). Due to space constraints, we highly recommend that you register early. Places are made available on first come, first served basis.